Looking for gorgeous beaches, endless sunshine and price tags that don't break the budget? Welcome to Kihei, one of Maui's best kept secrets. The lively resort lures vacationers with golden sand, family-friendly vibes and world-class whale watching. Not to mention a sumptuous lineup of salad bars, organic cafes and seafood restaurants. Wash it down with sunset cocktail bars and tropical tiki lounges – or, if you prefer, a serving of rainbow-hued Hawaiian shaved ice. Whether you're planning a family getaway or a romantic break, breezy Kihei vacation rentals provide an ideal setting for Hawaiian escapes. Kihei is prime beachcombing territory, so leave your sandals at home and spend a few hours exploring the shoreline. Kihei vacation rentals put you just steps from 6 miles of pristine sand, which means that morning yoga, sandcastle building competitions and sunset strolls are always on the cards. For a lively scene, head to Kalama Beach Park, a postcard-perfect stretch of sand fringed by emerald-green lawns and swaying coconut palms. Along with swimming and surfing, Kihei also offers kaleidoscope snorkeling, just offshore. You can also sign up for whale-watching tours, dolphin cruises and charter fishing trips. Kihei is one of Hawaii's sunniest destinations, with an average of 276 clear days per year. This means that you're pretty much guaranteed beach-worthy weather. Peak periods include the Christmas holidays and the US summer school break. Winter is prime whale-watching season, with Kihei throwing events like World Whale Day. Spring and fall are both the cheapest and quietest times to visit Kihei. Crowds taper off, the weather remains sultry and, of course, there's every chance of sunshine. For fiery sunsets, head to Keawakapu Beach, a secluded stretch of sand just south of Kihei. Offshore is an artificial dive reef brimming with colorful coral, tropical fish and sea turtles. During winter, Keawakapu Beach is a great place to spot breaching humpback whales. You'll also get incredible views from the oceanfront platform in front of the Hawaiian Islands Humpback Whale National Marine Sanctuary Headquarters. Alternatively, snag a waterfront Kihei vacation rental condo. Needless to say, breaching humpbacks will quickly elevate your morning coffee to the next level. Fly into Kahului, HI (OGG), the closest airport, located 8.3 mi (13.3 km) from the city center. If you can't find a flight that works for your travel itinerary, you could also fly into Kapalua, HI (JHM-West Maui), which is 19.3 mi (31 km) away. Our 2019 property listings offer a large selection of 4,489 vacation rentals near Kihei. From 3,861 Condos/Apartments to 313 Houses, find a unique house rental for you to enjoy a memorable stay with your family and friends. 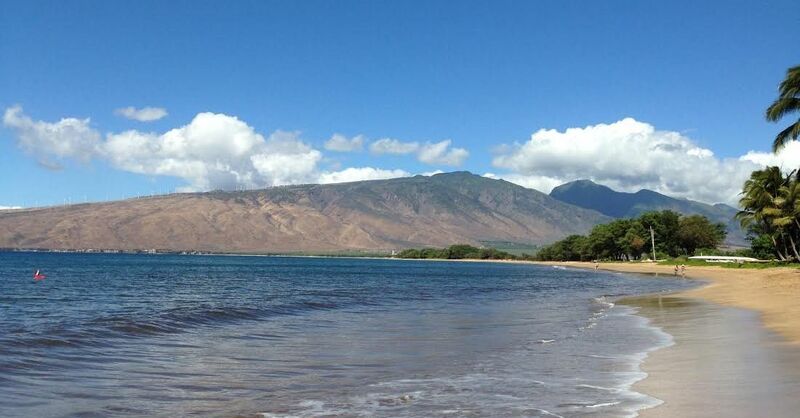 The best places to stay near Kihei for a holiday or a weekend are on HomeAway. What is the best area to stay when traveling to Kihei? Can I rent Condos/Apartments in Kihei? Can I find a vacation rental with pool in Kihei? Yes, you can select your preferred vacation rental with pool among our 3,913 vacation rentals with pool available in Kihei. Please use our search bar to access the selection of vacation rentals available.